Fashion illustration is definitely something I'm constantly working on, in an effort to both improve my skills and to find a style that works best for me. I would say that fashion illustration is a very wide field, especially these days. To me this revival of fashion illustration makes perfect sense. When professional photography first became a thing, fashion sketches fell into background of fashion advertising, but today they are having a comeback. Not just in marketing, but in art as well. 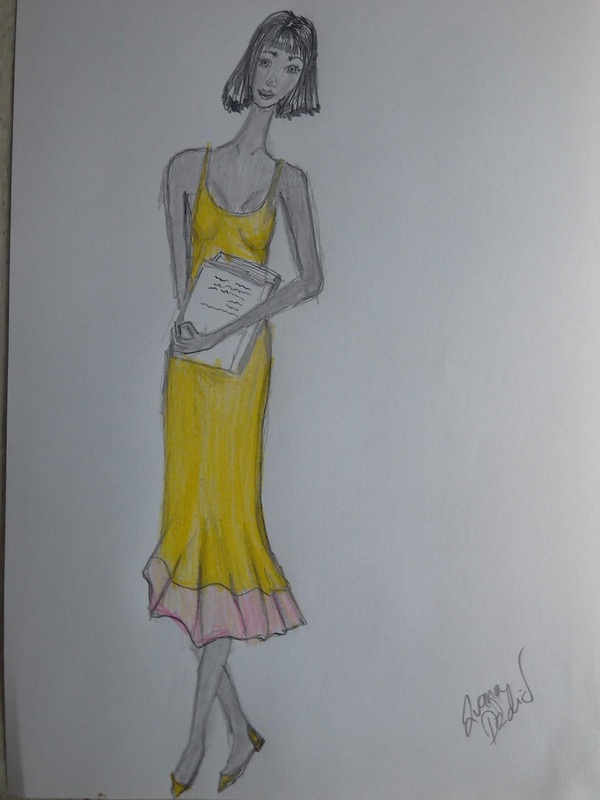 Many artist are taking to fashion illustration. There are people doing all kind of things, from doing complex fashion paintings that are closer to art than to sketches of clothes, to doing a very simplistic drawings meant to illustrate only clothes. 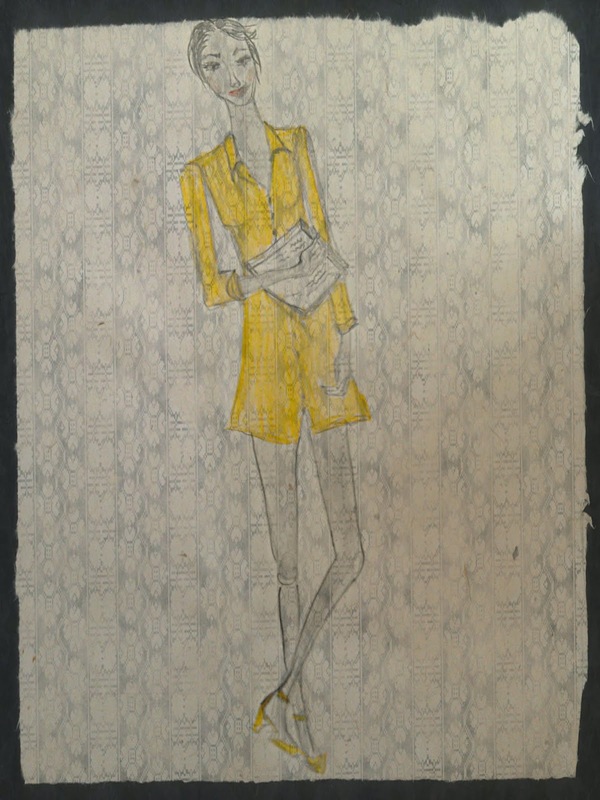 From sketches of clothes to artistic fashion paintings, there are many ways to approach fashion illustrations. 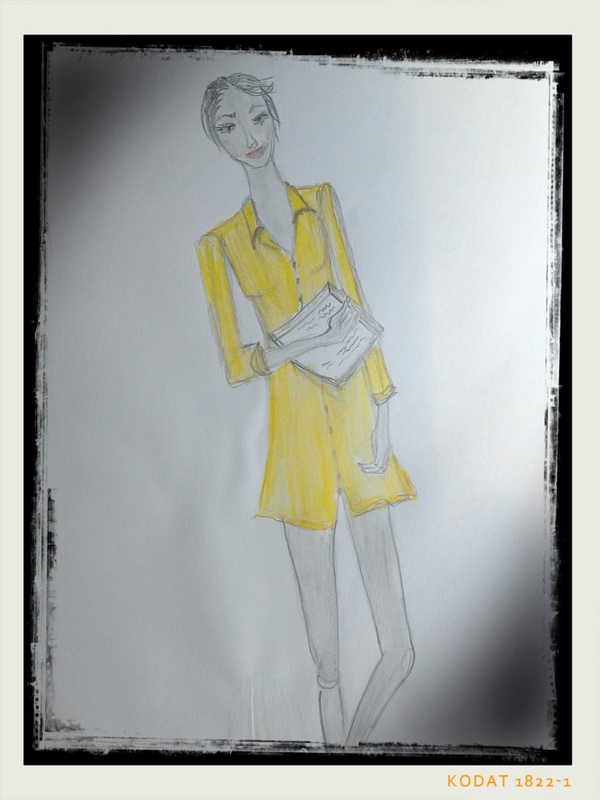 Sometimes fashion illustration is more about aesthetic, sometimes it is all about functionality (like in being an actual sketch of clothes, something fashion designers make for themselves and their clients). You've seen me do all kind of things here on my blog. I don't talk about it non stop, but I'm constantly trying to take my fashion illustration skills to a new level. I'm always trying out new concepts and ideas. I do feel that I'm getting closer to finding a style that would feel completely my own. 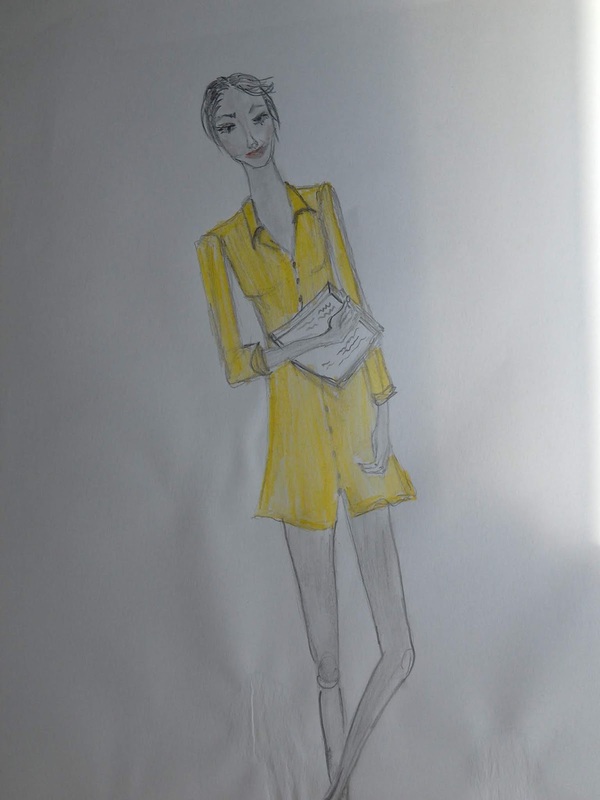 Today I'm sharing two of my new fashion illustrations with you. 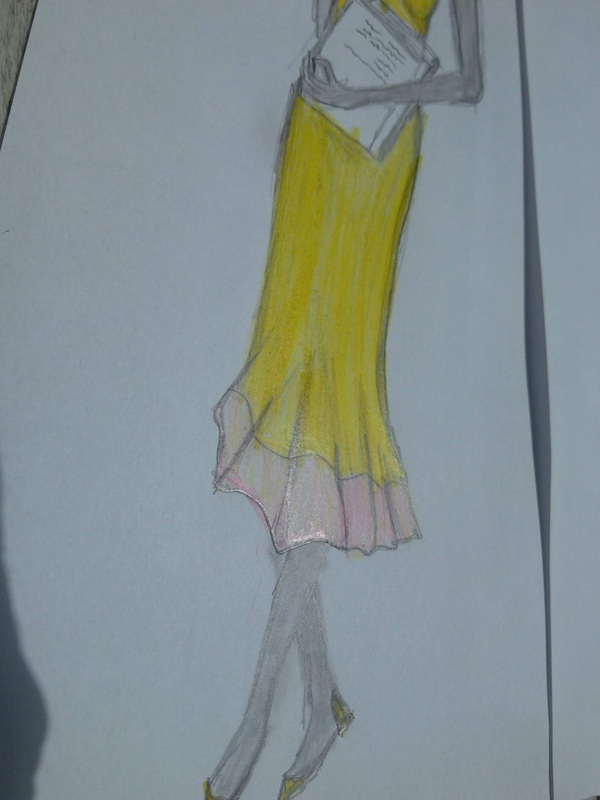 I've been working on a different concept, drawing the girls with ordinary pencil and the clothes with coloured pencil. Perhaps it is my way of focusing on clothes in a different way. Something like when you're having a bad day but your clothes make you feel better. 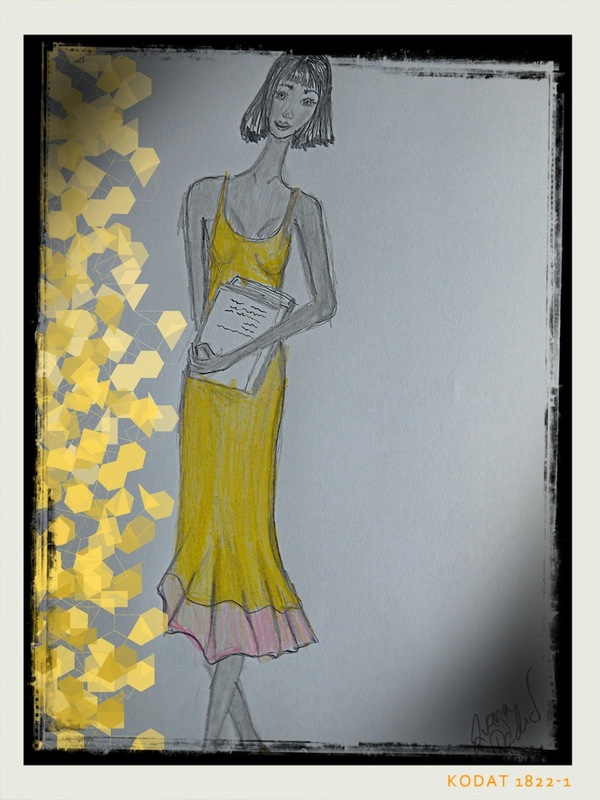 Yellow is a perfect choice for summer, and wearing dresses when it gets hot is a no brainer, so I drew some yellow dresses. 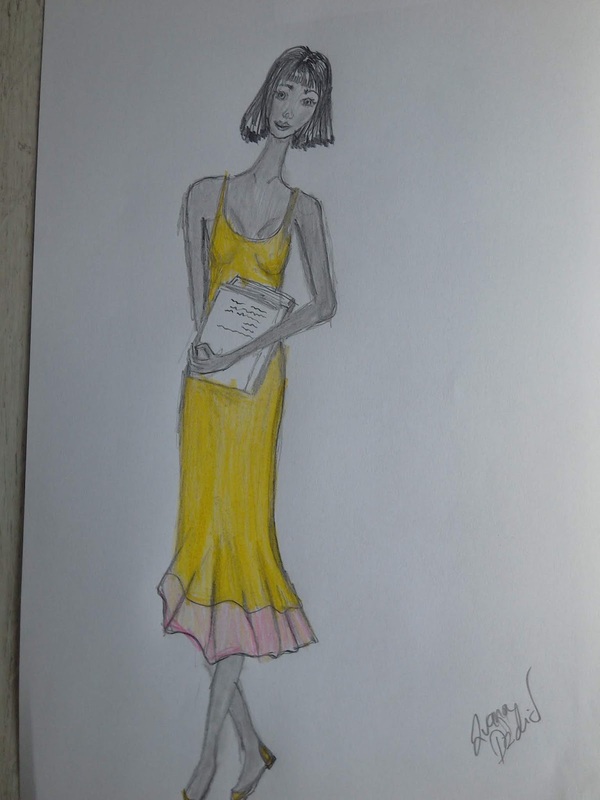 Both of these fashion illustrations are featuring a girl wearing a yellow dress and having a book in hand. I was going for a summery feel. The first dress is a slip dress, while the other is a shirt dress. How do you like them? This is not the first time I drew some bookworms. I love reading, so that's not exactly surprising. A book can be a great fashion accessory as well. If you want to know how to make more time for reading, you can check out my old post (here). When it comes to reading, I'm currently obsessing over Arthur and Boris Strugatsky. These two are the classics of science fiction, but I only discovered them a few days ago. I mean I knew about them, but I never got to reading one of their books before. Right now, I'm close to finishing a novel of theirs titled The Prisoners of Power and it's aaaaaaamazing. Back to the subject of these two fashion illustrations. I've played with some digital effects, to give my illustrations a retro feel. Scroll down to have a look.....And that would be all for today. As always, thank you for reading. Your feedback is always appreciated. To me fashion sketches have always been so beautiful and were really a way of seeing a designers or artist's passion and hard work. I think it's wonderful to be able to see the line that a pencil makes and how this creates the uniqueness of the artist. You are very very talented my dear. 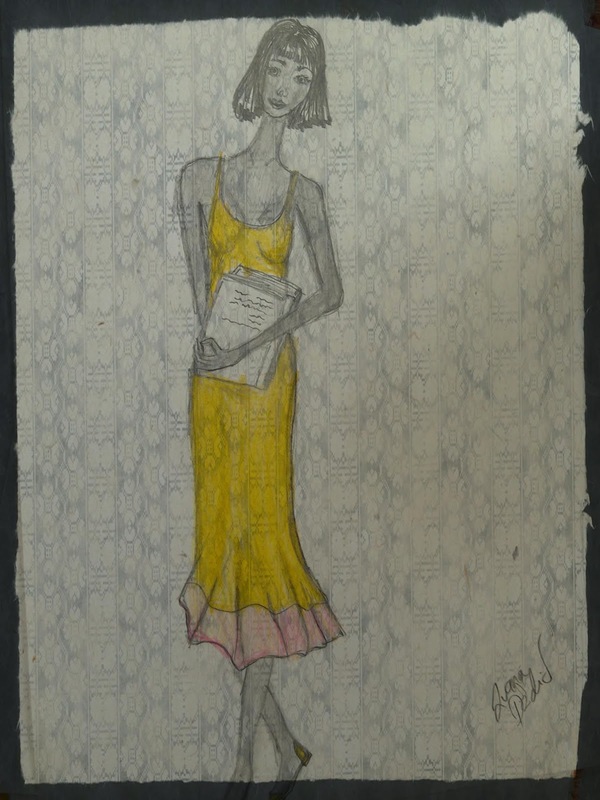 You would have no idea how much I would love to be able to sit down and just sketch a beautiful dress on a lovely girl! thank you dear. 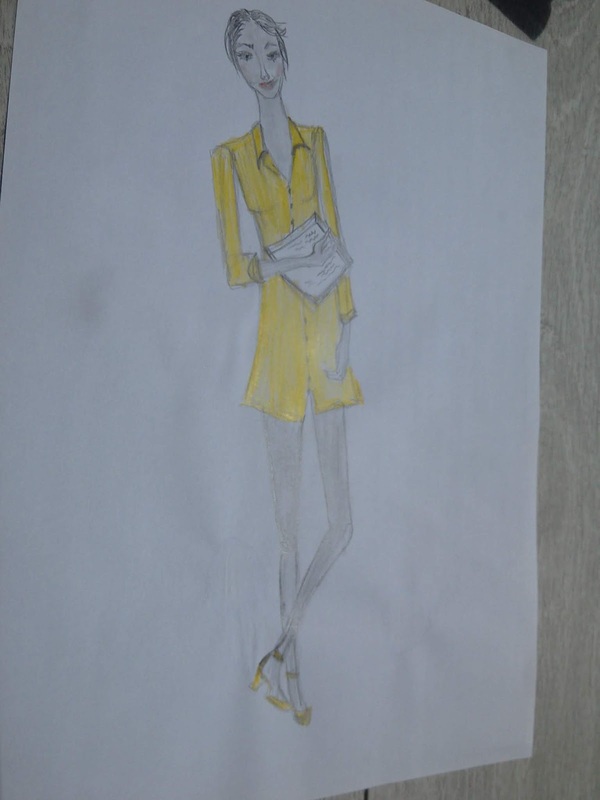 If you want to learn fashion illustration, I can recommend tutorials from Zoe Hong. As always, great work dear. Lovely illustrations. These illustrations are lovely and with your affinity for reading, I'm not surprised they are bookworms. Even with the advent of fashion photography, fashion illustration is still a very unique and valid artform in and of itself. thank you Rowena. I do agree, fashion illustration can really be an art form in itself so I think it's something that's here to stay. I love these! and I love this style of fashion illustrations a lot! They seem very lighthearted, dynamic, fresh, artistic - and informative! Arkady and Boris Strugatsky are definitely classics of Soviet period sci-fi literature. I'm not a fan of sci-fi, but some of their stories were made into movies, and they are more like fairy tales really, which I am a fan of. It is amazing how much they were able to express in their "fairy-tale-ish" writing and get away with in Soviet times! yes, they were really able to get away with a lot! Literature often finds a way to reflect on social issues. I always love yellow outfits. This is beautiful. Yellow is just such a gorgeous color! Hope that you are having a great week so far! I've lost my voice so it's an interesting week for me, ha! Beautiful illustrations-true talent. I would love if you checked out my most recent post! These are one of my favourite from you. I don't know if its the choice of colour, but this is refreshing and so beautiful. That dress is so chic.